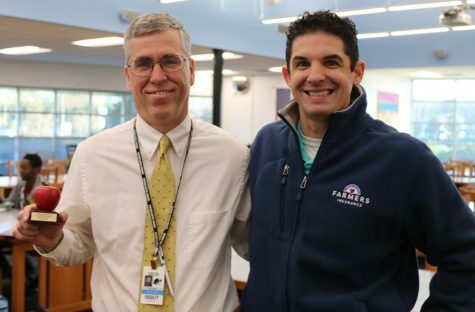 Tim Monihan from Farmers Insurance in Peachtree City poses with this month’s Golden Apple winner Spanish teacher Shayne Thompson. Thompson believes that “where there’s a will, there’s a way,” and she demonstrates this way of thinking to her students as they learn a world language. 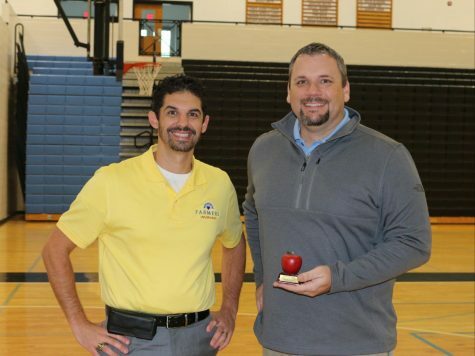 Spanish teacher Shayne Thompson has been selected as November’s Golden Apple winner, sponsored by Tim Monihan and Farmers Insurance in Peachtree City. Thompson has been teaching for nine years, this being her third year at Starr’s Mill. She teaches Spanish I and II, is the Spanish Club sponsor, the JV volleyball coach, and a class of 2021 sponsor. This was Thompson’s first year being involved with and coaching volleyball. 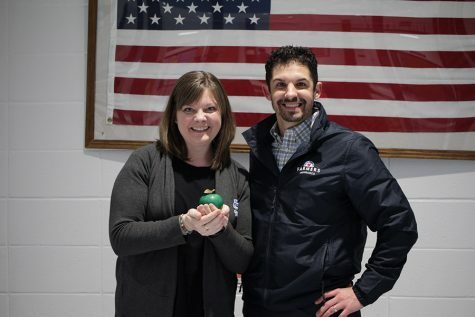 Previous Golden Apple winner and varsity volleyball head coach Jason Flowers was able to see much of her character through Thompson taking on this role. 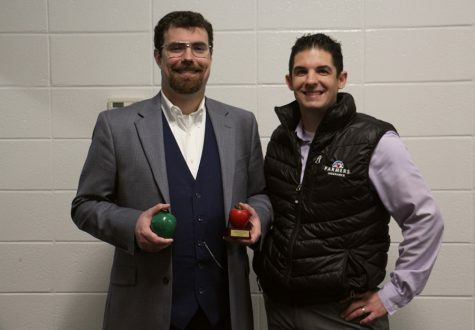 This, along with his knowledge of her other roles in the Spanish department, led to his decision to award her as this month’s winner. “Everything she did, she did well,” Flowers said. Thompson was first introduced to her passion for Spanish in high school when her teacher proved to her that you don’t have to be a native speaker in order to teach the language. 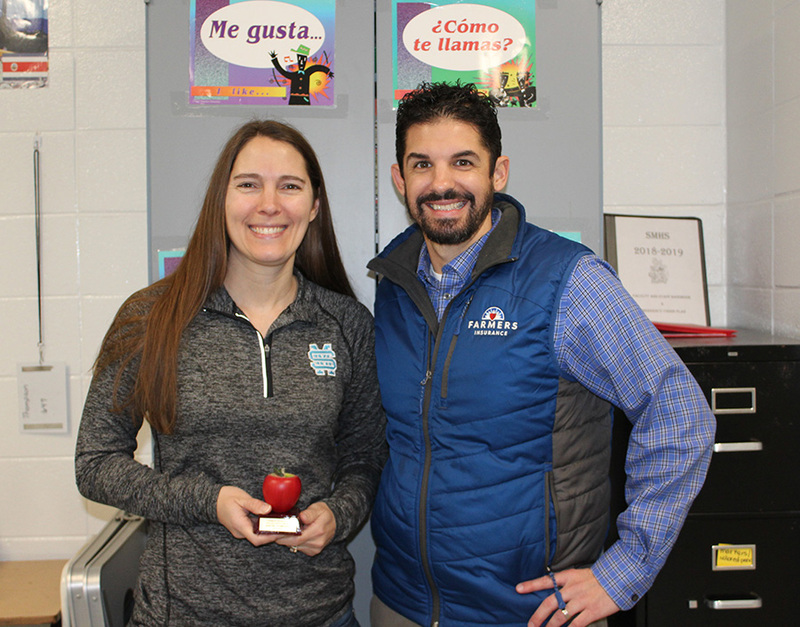 Thompson’s passion for the language also comes from her fun outlook on culture and her love for being able to expose a diversity to students through Spanish. Students in her class get a taste of multiple teaching styles so as to keep language learning exciting. Thompson has a quote on her wall that she to teaches by and uses to demonstrate to her students, that “where there’s a will, there’s a way,” or “querer es poder” in Spanish. 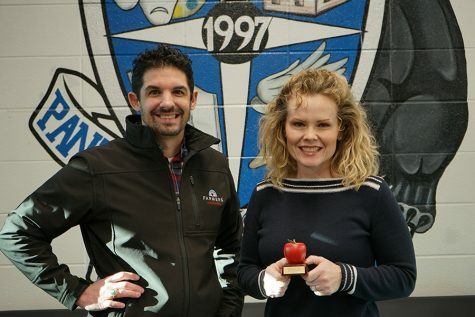 Being selected as the Golden Apple winner this month, Thompson will receive $100 to use for school supplies. Thompson plans to put the money toward new or better whiteboards as she and her students use these in her class everyday.